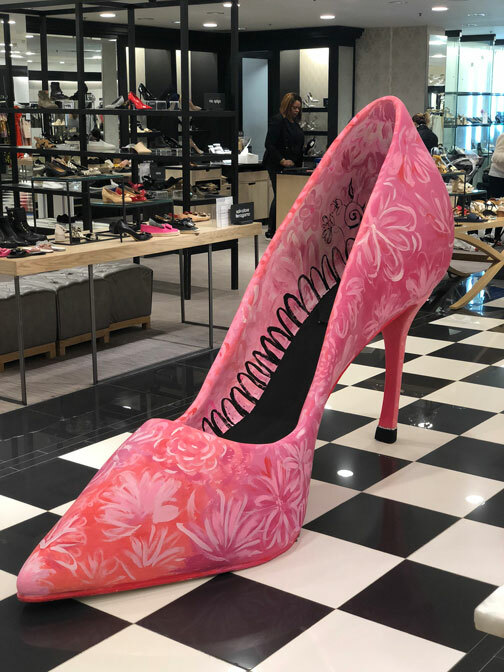 Montclair illustrator Kristine Lombardi teamed up with Bloomingdales on a special display project to customize an enormous 6 foot shoe sculpture. The pump–cast in white fiberglass provided the perfect blank canvas for Ms. Lombardi to transform into a beautiful hand-painted floral motif to celebrate the advent of Spring. The shoe will be on display in the Bloomingdales shoe department in Short Hills through the end of April.